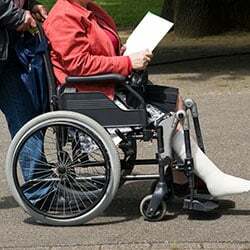 Comcare provides benefits for Commonwealth employees suffering injury or illness caused by their work. People who work for Telstra, Australia Post, Commonwealth government departments and the Australian Defence Force are covered by this scheme. You make an initial claim by filling in a claim form (available from your employer or Comcare’s website and lodging it with your employer or direct with Comcare if this is not possible.